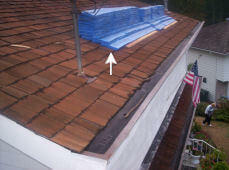 1″x2″x4′ wood strips nailed to the roof, upon which the field tile hangs. 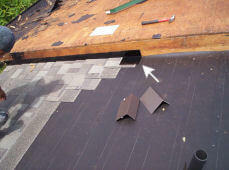 In addition to preventing birds from nesting in the hollows of the tile, this length of formed metal or foam elevates the first course of tile so that it is positioned at the same angle as subsequent courses. 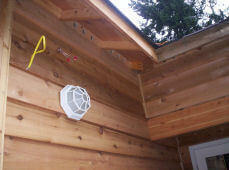 Scuppers used on the outside edge of a roof with no overhang. 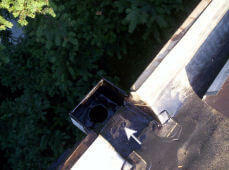 A gutter on the roof deck with a higher fascia board creating a trough to collect water. An outer covering of a comparatively flat roof, consisting of 3 layers of saturated felt and 3 layers of tar. As laid, each layer is mopped with hot tar or asphalt. 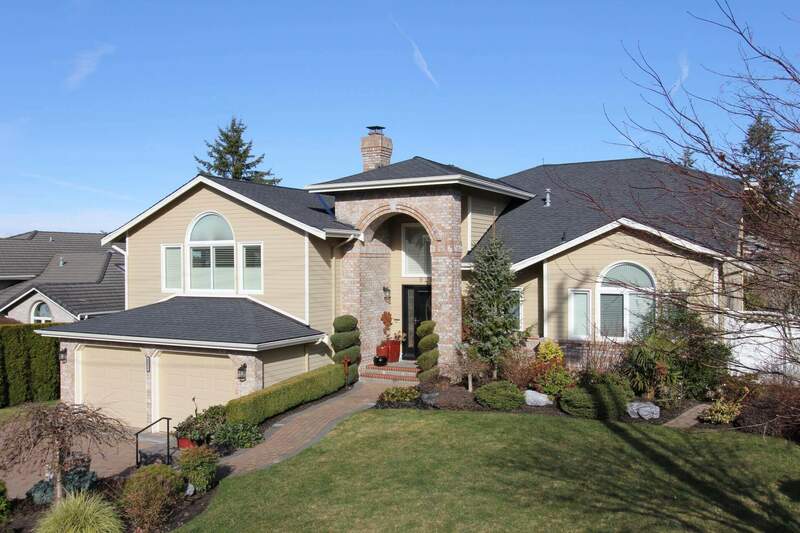 The top layer is finished with a mineral or rock covering and a special coating.